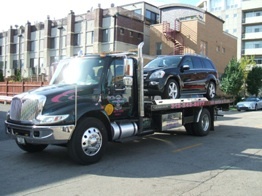 We pride ourselves on our 24-Hour emergency towing services. Fleet Service guarantees that every automotive complication will be repaired as quickly as possible, resulting in less down time and inconvenience to our customers. we repair, guarantying safety in all vehicles. new market technologies has made Fleet Service, one of the most vanguard companies in Chicagoland. We offer a wide variety of services - Meeting the most demanding client’s needs with ease! Copyright ©2011-2012 Fleet Service. All rights reserved.